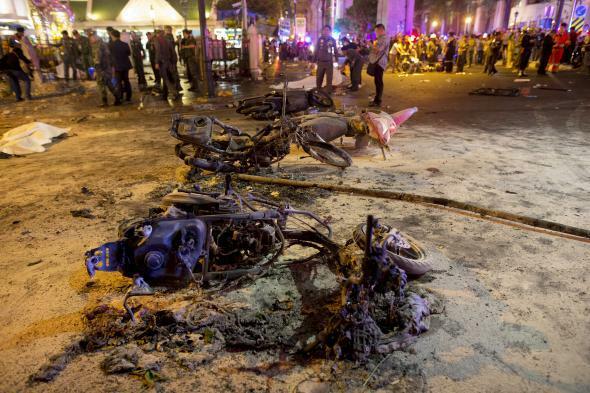 Bangkok explosion: Bomb kills at least 12 in Thailand. The site of Monday’s bomb explosion near a Hindu shrine in Bangkok. 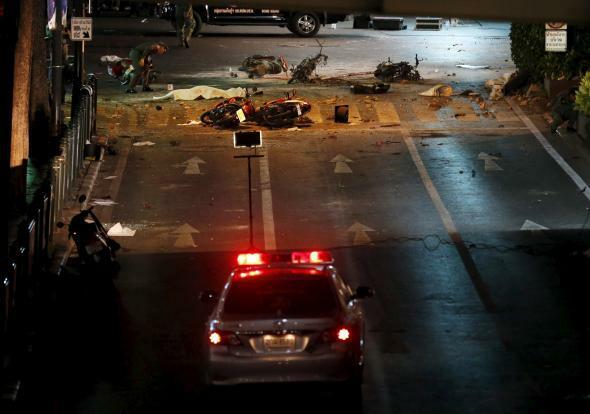 At least 12 people have died after a bomb attack in central Bangkok near a Hindu shrine popular with tourists, reports say. Initial accounts indicate the bomb was possibly attached to a motorcycle or electric pole.